Hello & Welcome to day 5 of What I ate! I hope that I am continuing to help your Veganuary or New Years Resolution to go Vegan or eat more plant based this year! I am going away this weekend, so I will be eating out a lot! Just a fair warning that there won’t be as many home cooked meal options! I started this morning with some coffee! I am trying to cut down my consumption of coffee to only 2-3 times a week. 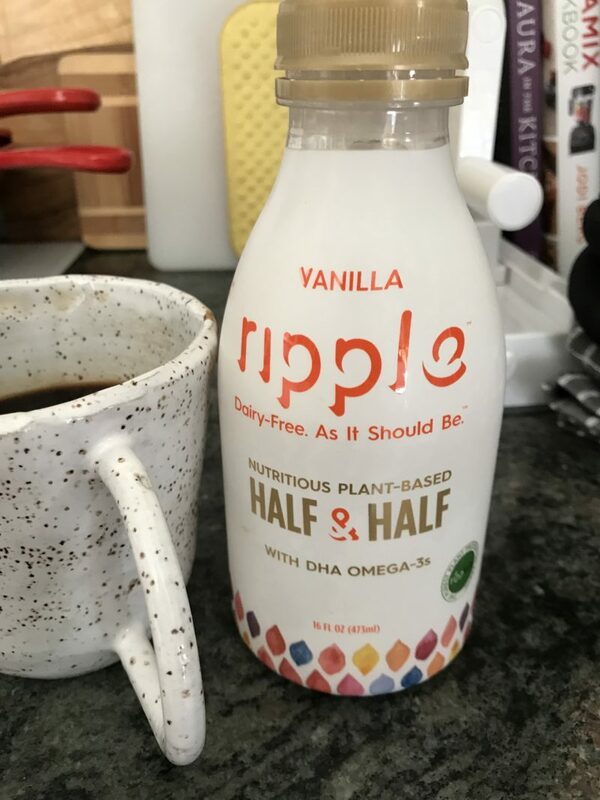 I really like this Ripple half/half! It’s super creamy & tastes great. I got mine at Whole Foods but their products are also available at target! 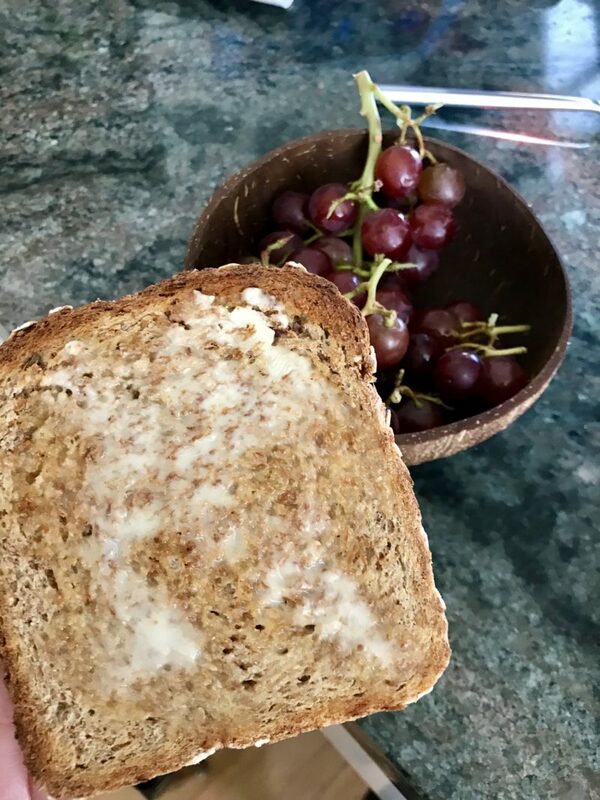 Since we were in a rush to leave this morning I had a slice of toast with Earth Balance and some grapes! If you’ve probably noticed I don’t normally go for sweet breakfasts & prefer savory. I am a creature of habit, especially when it comes to my breakfast, so I am sorry if this portion is a bit boring! I will try to change it up throughout the month. I also just love bread, so sue me. 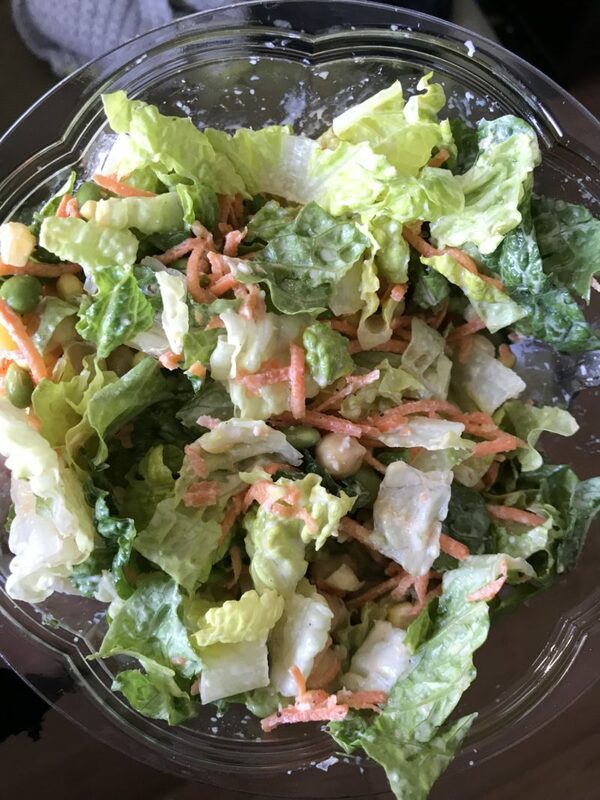 When I got to my destination I immediately went to one of my favorite salad places! I usually get Tofu in my salad but today I just wasn’t feeling it. Dressing: Lemon Tahini – I added a ton of my own pepper & a little fresh crack of pink salt. I also added a little bit of the Go Veggie vegan parm! I always keep Vegan parm at my boyfriends because it’s always better to be prepared! 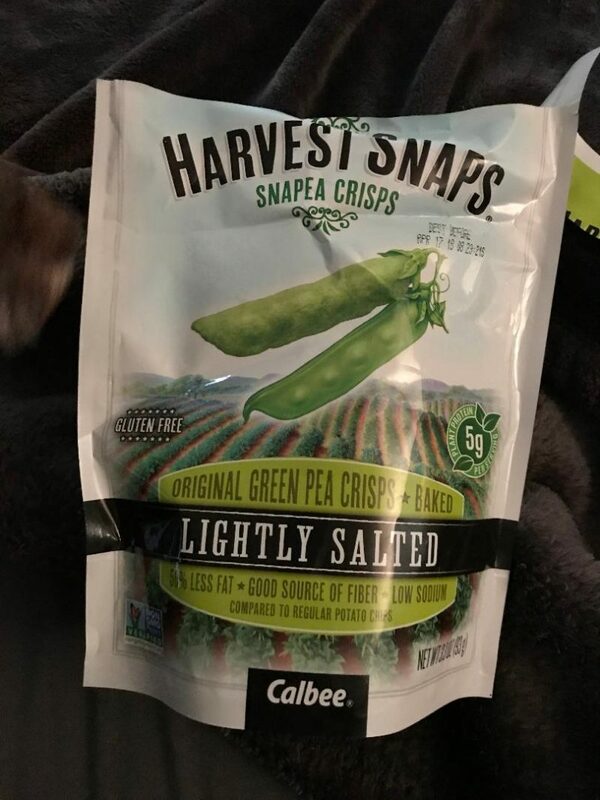 These Harvest Snaps Green Pea snacks are literally insane! They are so good and the perfect munching snack! Also, note my dogs curious nose in the top left. See you tomorrow 🙂 There will be bagels involved!